MA, B.Ed (Hons), Adv. Dip. Couns. A 15-year teaching career (including leading RE in primary and secondary schools and teaching A-Level), took Jan into 11 years’ advisory work as an RE and PSHE Adviser for 3 local authorities and 2 further years as Senior School Improvement Adviser. She has led numerous curriculum and whole-school improvement projects, 100s of training sessions for teachers, as well as acting as professional adviser to 4 SACREs (Standing Advisory Councils on RE) and liaising and working with members of faith and belief communities. Jan’s career has seen her closely involved in the review and writing of at least 5 agreed syllabi for RE (most recently the pan-Berkshire and Poole/Bournemouth syllabi) and the production of resource materials to support teachers in implementing these. Jan understands the complexities and sensitivities of teaching RE and has always been a great advocate for those teaching it. Alison left a successful career in motor industry management to follow her dream and qualified with a P.G.C.E. as a Primary teacher in 2000. 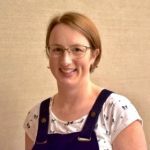 In her first post-NQT year, she began leading RE in her primary school and achieved outstanding for the both the RE teaching and learning, and her leadership of the subject, in three successive Statutory Inspections of Anglican and Methodist Schools (SIAMS). In 2014 she also achieved the National Professional Qualification for Senior Leadership which entailed embedding new and independent learning strategies across the school, identifying core subject assessment issues and supporting staff to raise achievement. She has also supported other schools in school leadership and raising standards in RE and preparation for inspections. She also lectures in RE for many initial teacher training organisations. 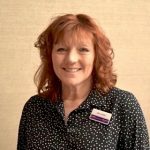 Alison is a member of Bournemouth SACRE and advises two other SACREs. 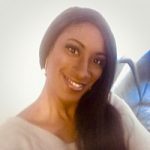 She has an MA in Coaching and Mentoring with a dissertation on embedding spirituality into the Primary Curriculum. Alison’s passion is ensuring that the knowledge and understanding children gain through exciting and high-quality, investigative RE leads them to be more discerning and come to know themselves and be sure of their own beliefs and morals. David has been an RE teacher for 25 years. In that time he has been an Advanced Skills RE teacher, a member of SACRE and an adviser to local authorities. He has been a successful RE Head of Department and achieved excellent GCSE results and has been graded outstanding in 2 separate OFSTED inspections. He is also a member of Poole SACRE. 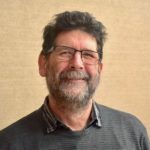 David has been involved in reviewing and amending the locally agreed RE syllabus for Bournemouth and Poole and has led numerous workshops for Key Stages 1-4 as well as planning Syllabus launch conferences. He has been involved in writing schemes of work, developing introductory units and leading training on world religions and led training for aspiring teachers as well as non-specialists and RE specialists alike, focusing on teaching creative and challenging RE. David believes RE is a subject that helps to develop key skills and attitudes like open-mindedness, sensitivity and reflection. These skills transfer to all aspects of life and help to encourage a desire to challenge prejudices, to make a difference in the world and to care and show respect for all. Richard has worked in primary education for over 20 years first as a teacher and then later as a subject advisor for Wiltshire Council. Richard has substantial experience of leading RE in school and understands the unique place it has in the curriculum. He has always been keen to provide support to less experienced colleagues to develop their confidence with the subject and this led him towards Initial Teacher Education and a subject advisory role. 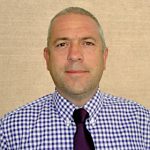 He has worked within the University of Cumbria’s senior lecturing team supporting all aspects of SMSC teaching within undergraduate and postgraduate teacher training courses. In 2017 Richard began work as an independent consultant in the North of England. Richard is a strong advocate of the enquiry approach in RE which enables children to explore spirituality from their own unique starting points. Richard finds that once familiar with these concepts, teachers at whatever level are able to apply the skills to many other areas of the curriculum. Importantly they also become passionate and excited, rather than fearful, about teaching RE. After leaving St Luke’s College in Exeter Brian’s first teaching post was at a boys’ Grammar School in Lancashire teaching PE, Games and Science. He then moved on to a special school in Hampshire to teach some fairly challenging boys all subjects for a year. Brian was then appointed as a Housemaster at a co-ed independent school, which catered for dyslexic children also in Hampshire. Here he met his wife and his three children were born; we stayed for fourteen years. We then moved to Bruton in Somerset, again in a pastoral role and also teaching Religion & Philosophy, this was a co-educational comprehensive school where we stayed for eight years. Brian’s dissertation for his MA was based in Spiritual Development in the secondary School curriculum and he was invited to become a member of the National Forum for Values. It was at this time he completed a Farmington Fellowship during which he set up a European Project based in human values education with six other schools. For the past eighteen years Brian has been variously, Head of Religion & Philosophy, Head of PSHE, i/c Collective Worship, Assistant Head Teacher, mentoring NQTs, leading on international projects and Senior Tutor at Poole Grammar School in Dorset. Brian was a member of Somerset SACRE for 8 years and also a member of Poole SACRE for a further 8 years. Brian is currently the adviser to The Borough of Slough SACRE. Initially terrified of teaching RE, Katie quickly realised that high-quality RE teaching can have a profound effect on children and their attitudes to those with different world-views from their own. She feels that RE has a massively significant role to play in helping children to understand the world around them, from their local communities to global issues affecting us all. Discovery RE was invaluable to Katie as she developed an RE curriculum in a challenging school, as it allowed her colleagues to get on with the job of teaching, rather than worry about planning and resourcing lessons. RE progressed from being non-existent in pockets of the school to become a subject that children across the phases enjoyed and talked about with enthusiasm. Katie started working with the Discovery RE team because she wants to share her enthusiasm and empathy with those struggling to get started with RE. John has worked in primary education for over 20 years, both in England and Wales, first as a teacher, Deputy Headteacher, Acting Headteacher and then later as a Diocesan Schools Consultant for the Diocese of Swansea and Brecon. 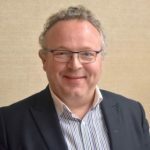 John also works for the Church in Wales as Diocesan Director of Education for the Diocese of Swansea and Brecon on a part-time basis and as a registered assessor for the SMSC Quality Mark. John is always keen to study and is a present studying ‘Theology for Life’ with St Padarn’s Institute and is in the process of becoming a SIAMS inspector and critical reader. John is a member of a number of SACRE and WASACRE, as well as working with Welsh Government on curriculum development and is a member of the Church in Wales’s curriculum review team. John is working on developing and incorporating digital literacy into RE teaching. John has a keen interest in Values Education, after working at a pioneer school in England, transferring these skills whistle working in schools in Wales, focusing on school ethos and vision. John has recently won a Christian Aid Diamond Award for his work as schools innovator. John is a strong advocate of the enquiry-approach in RE which enables children to ask the ‘Big Questions’. After studying for a Farmington Scholarship into the questions the children ask in RE lessons. He is passionate and excited about teaching RE and exploring spirituality from the pupils own unique starting points as well as developing thinking skills. John finds that once familiar with these concepts, teachers at whatever level are able to apply the skills to many other areas of the curriculum. 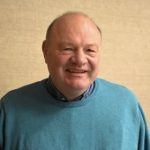 Bill has taught and advised on RE and PSHE for over 30 years and is currently teaching 0.4 RE in a local secondary school in Buckinghamshire and advising two SACREs. He has a reputation as a thought-provoking and engaging trainer, presenter and speaker. His passion for RE and SMSC lies in their impact on the thinking and being of pupils and their capacity to enable a questioning and reflective approach to learning and life. Bill uses P4C, stilling and ‘Conceptual Creativity’ to good effect in his teaching and training to promote these facets of learning. Bill was RE and PSHE Adviser in Buckinghamshire for 15 years working with all types of school. In that time he was Chair of the National Association of SACREs from 2009 to 2011, working with the RE Council, DfE and what was then QCDA developing national guidance and materials. Since 2014, Bill has become an independent consultant and returned to the classroom 2 days a week, which roots his other work in the realities of school life. He takes over this year as Chair of AREIAC, the national RE advisers’ association. According to Bill, education is about humanisation – growing and developing as people, a process as much for the teachers as for the pupils. Not surprisingly, then, he sees RE as the most important subject in the curriculum and SMSC as what he calls the ‘Heineken factor’ of education! Working with Discovery RE will help teachers develop greater confidence in planning and teaching religious education. After working in international IT recruitment as a Quality Assurance Manager for a number of years, Rachel embarked on a teaching career. She qualified in 2004 and began as a Computing lead in an East London primary school which is a role she has maintained throughout. Rachel’s decision to change careers was due to her passion to the life of others through educating and inspiring the next generation. In particular, those from disadvantaged backgrounds. Rachel has taught in a number of schools across London and held various roles including KS2 lead. For the latter part of her career, Rachel held part-time positions whilst raising her young family. 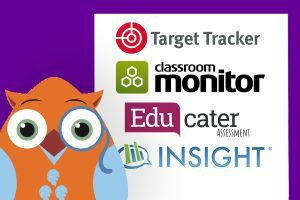 More recent roles include teaching KS3 and KS4 pupils unable to access mainstream schools education and some work in Pupil Referral Units. Since leaving the classroom, Rachel works for an education charity supporting schools with Christian collective worship, RE lessons and SMSC provision. She is also a qualified freelance Financial Education Coach. If Rachel can find any spare time, you’ll find her running around the local common or spending time with her husband and two sons. Rachel is also a caring cat lover and enjoys reading and musical theatre. Elaine worked at Barclays Bank PLC for 25 years, 10 of those managing Community Investment Programmes for the South West region. She gained invaluable experience in partnership working, an understanding of the voluntary sector and how mutually beneficial programmes can be instrumental in achieving objectives. After leaving Barclays in 2007, Elaine worked with Arts organisations across the South West developing partnerships with Corporates, Local Authorities and charities. 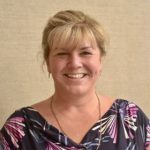 In 2010 Elaine joined The National Trust as Business Development Manager for Dorset, working to develop a strategic approach to growing visitor and membership business and setting up a programme of Corporate Events. 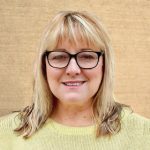 Elaine has since joined the Jan Lever Group and is delighted to bring her expertise in business development and marketing to the world of education. 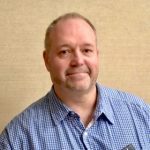 For 30 years, Steve has worked in Local Government in various management roles, with the latter 2, managing the Revenues Service at Stour Valley & Poole Partnership in Dorset. Steve joined Discovery RE, bringing a wealth of data, financial and strategic management experience to the team. He wants to ensure our Discovery RE community and partners enjoy excellent customer service. Steve has two grown-up sons and has a great passion for American country music. He also enjoys sport (mainly watching) and loves the countryside.